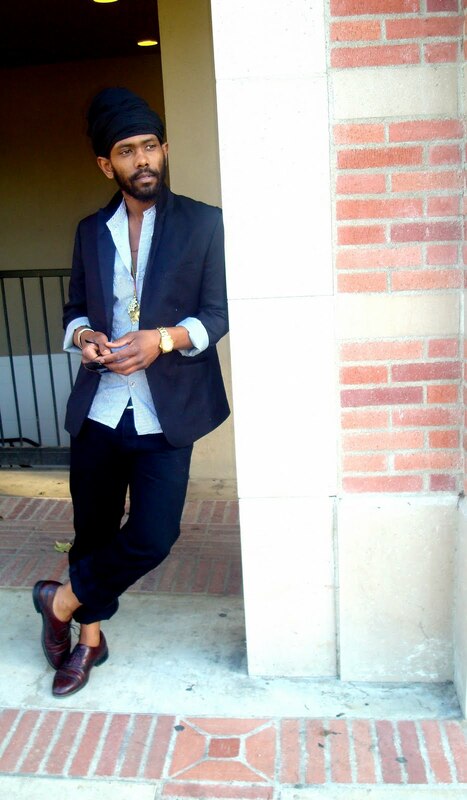 I met this handsome poet outside of the UCLA Jazz Reggae Festival, and I was really digging his laid-back look. I like how he paired his blazer with a striped tunic,and brogue shoes. And tell me you agree with me when I say,his pants rolled up to keep it less formal was a great idea! It gives his look that oomph factor.